I'm pretty sure this is the best saying of all time. How could it not be? It has a tiger in it and includes the word "miny". 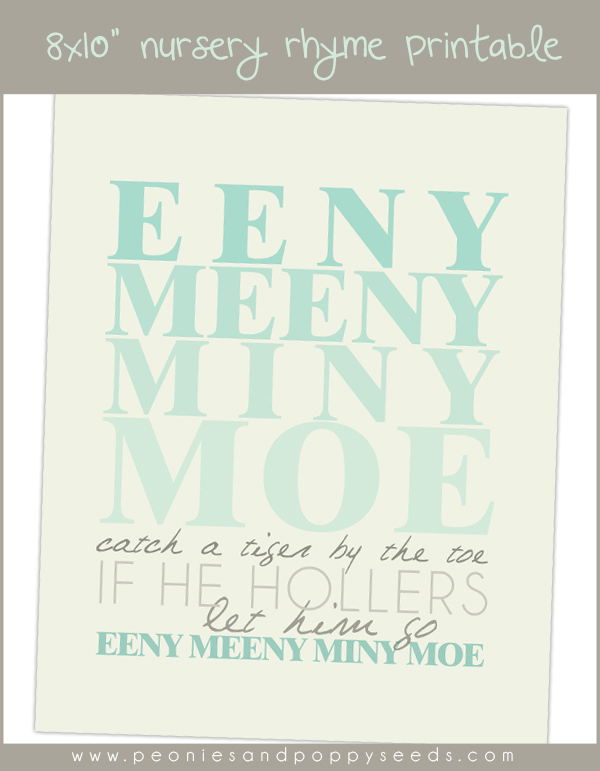 This is an 8x10" printable that would probably look fabulous in a nursery or kid's room or, I dunno, the kitchen?